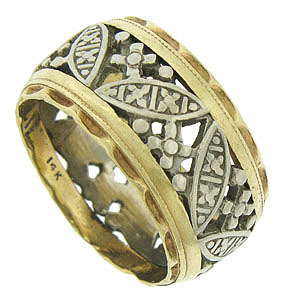 Twirling abstract cutwork leaves and flowers spin across the surface of this 14K bi-color wedding band. 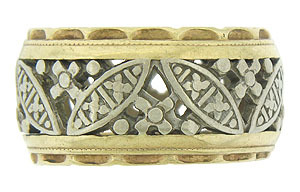 Yellow gold bands finished in pinched piecrust decoration frame the white gold floral cutwork. 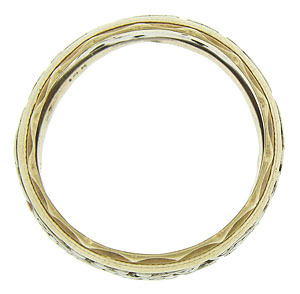 The vintage wedding ring measures 11.06 mm in width. Size 7 3/4. We cannot re-size.